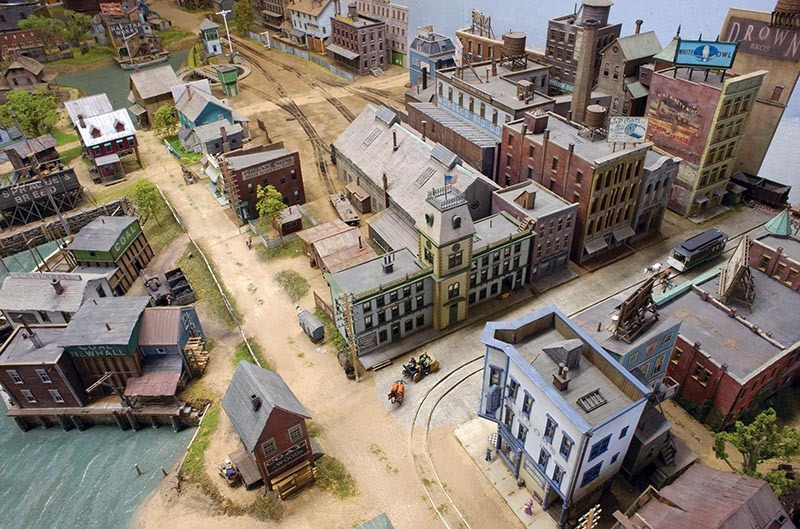 An aerial view of the author’s model of Market Street Station, looking from the first module towards the second and third. 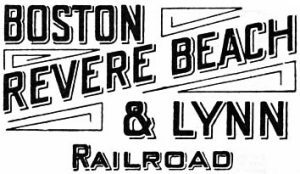 While I’ve spent most of my life living in or around Boston, Mass., it wasn’t until I was reviewing the instructions in a Fine Scale Miniatures’ Jeffries Point Heading & Stave Co. kit, that I first learned of the three-foot gauge Boston, Revere Beach & Lynn Railroad. 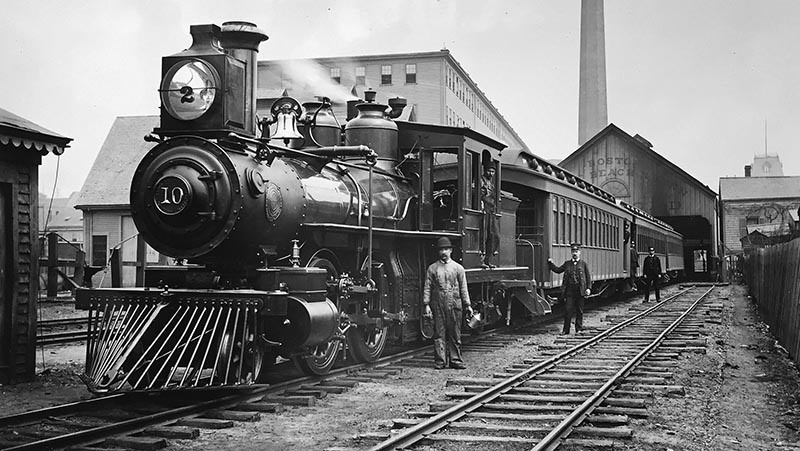 I was amazed to discover that between 1875 and 1940 “The Narrow Gauge” (as it was called then) had its East Boston terminal barely a stone’s throw away from my first apartment in this area. 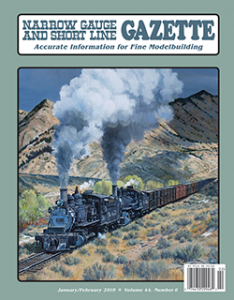 George Sellios, owner of Fine Scale Miniatures, and the builder of the magnificent HO gauge Franklin & South Manchester Railroad, modeled the twin tunnels of the BRB&L on his layout. I was also astonished that, while not knowing of the prototype BRB&L, it was the name I had chosen for the fictitious layout I had intended to build for my son. My fate was sealed. The Lynn, Mass., train shed and yard. At that time, I was unsure where we would be living, so I decided to build a modular layout. Using 4×4-foot modules, my plans began modestly – but my layout eventually expanded to 10 modules. While I knew that an HO scale diorama would have to extend for about 400 feet to depict the 8.5 miles of the prototype, I felt I could build my model in about 40 feet. ABOVE: A modified Fine Scale Miniatures Mackenzie Milling kit provided this perfect abandoned gristmill – which in Lynn was powered by the tides.